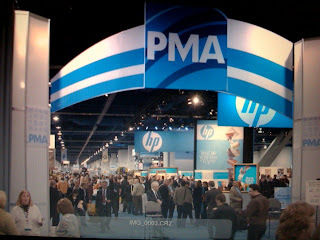 I am attending a photography trade show in Las Vegas to hobnob with my fellow wizzards. I dozed through a couple of seminars today; the four I've signed up for tomorrow promise greater things. I'm heartened by the words of encouragement I received about my photography from a professor of photography at Southern Illinois University. By the way, the title of today's blog refers to the fact I've been assigned to the Blue group of name badges.